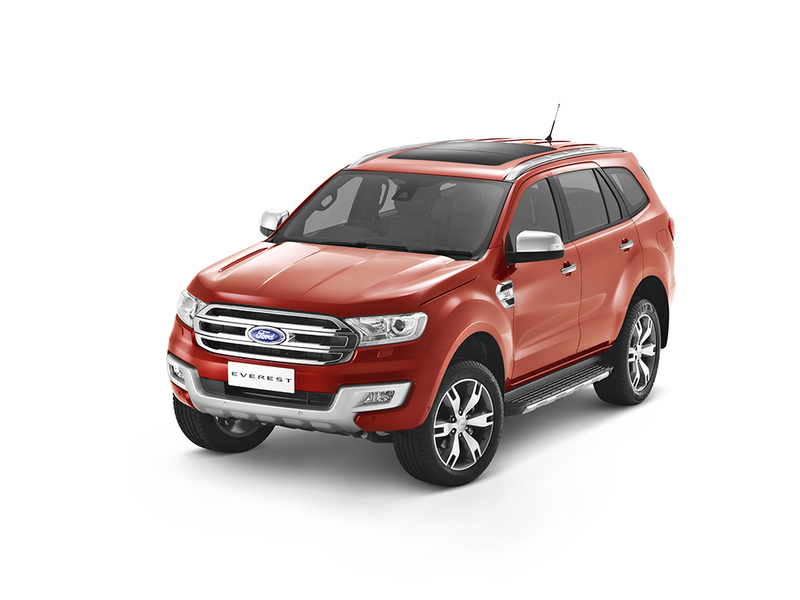 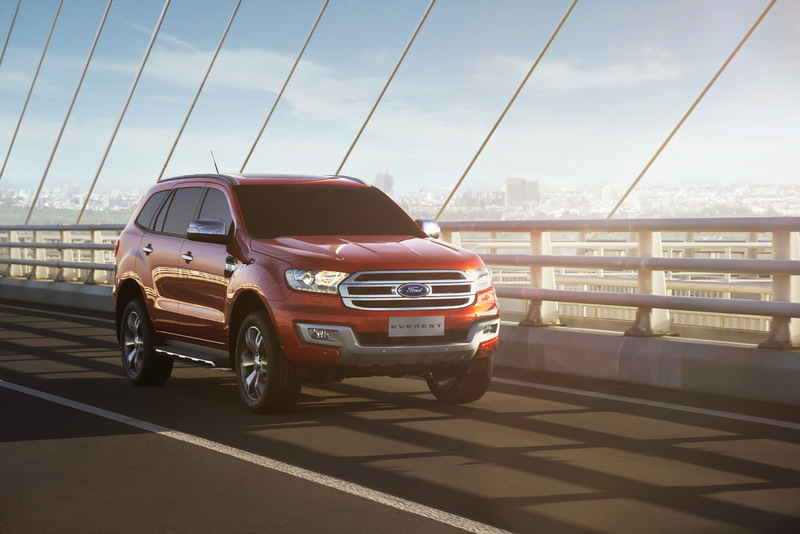 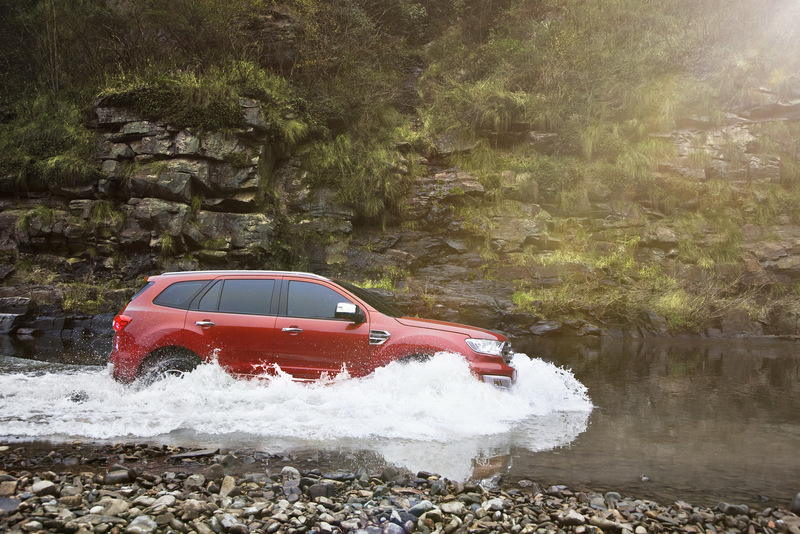 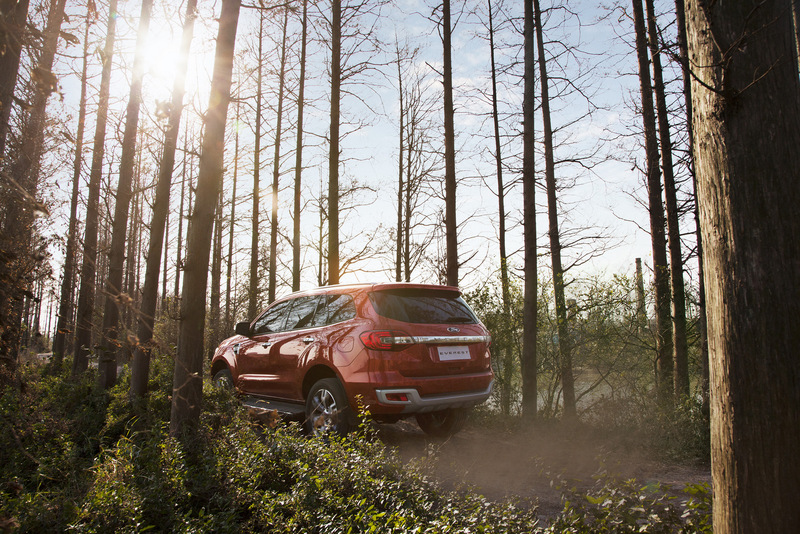 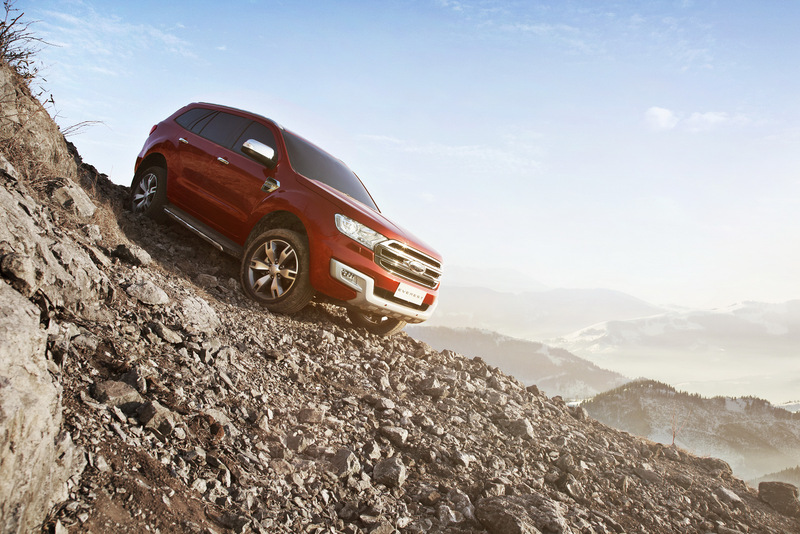 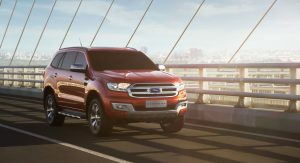 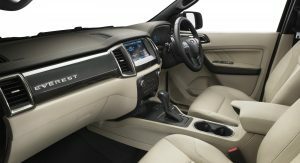 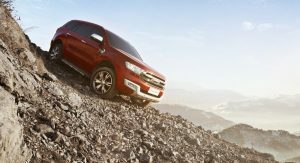 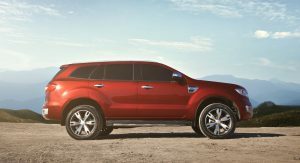 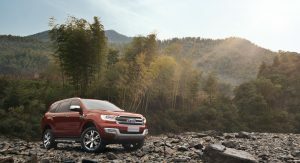 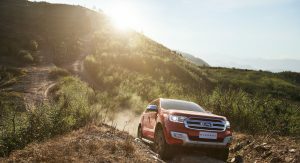 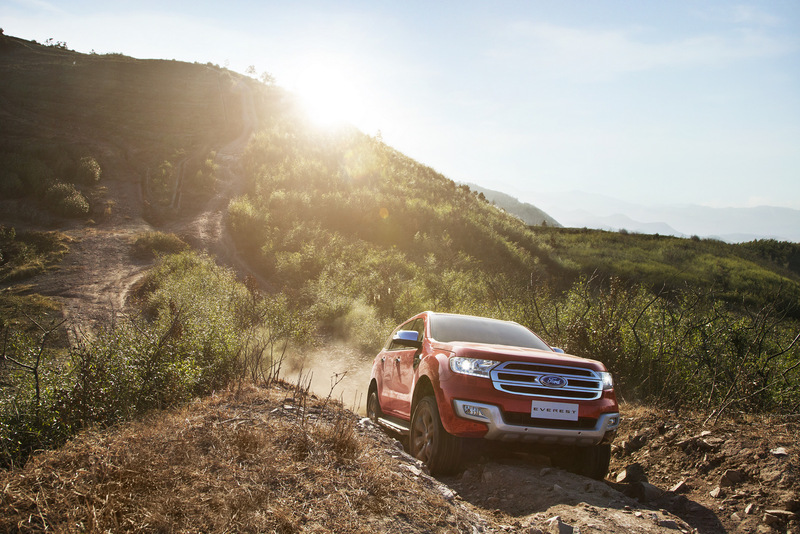 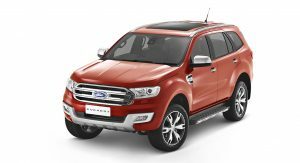 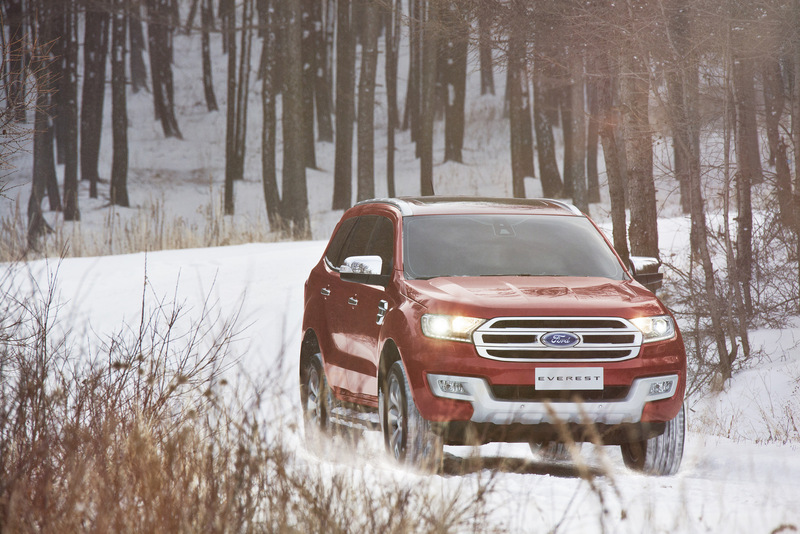 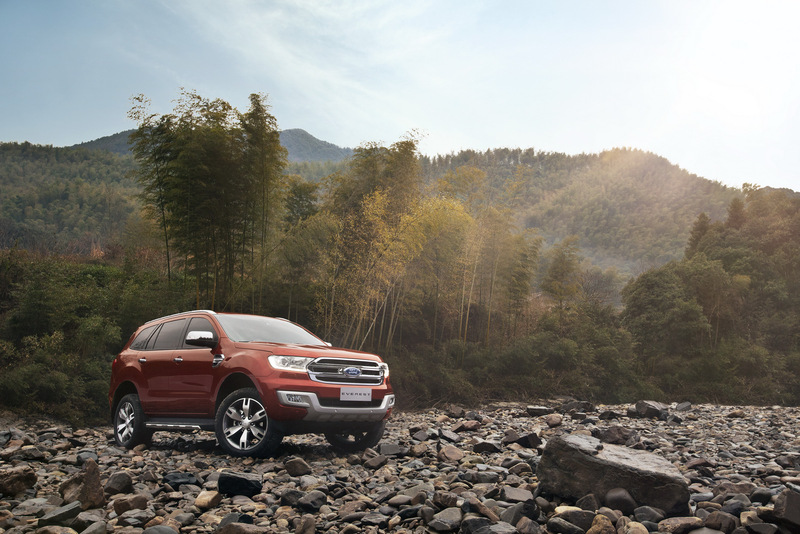 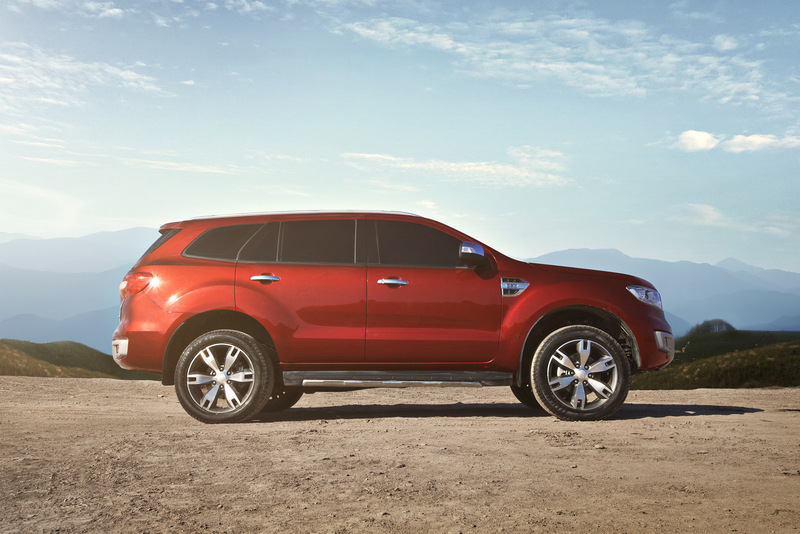 Aimed primarily at markets in Southeast Asia, the all-new Ford Everest rugged seven-seat SUV debuted in Thailand this week, the country where it is built. 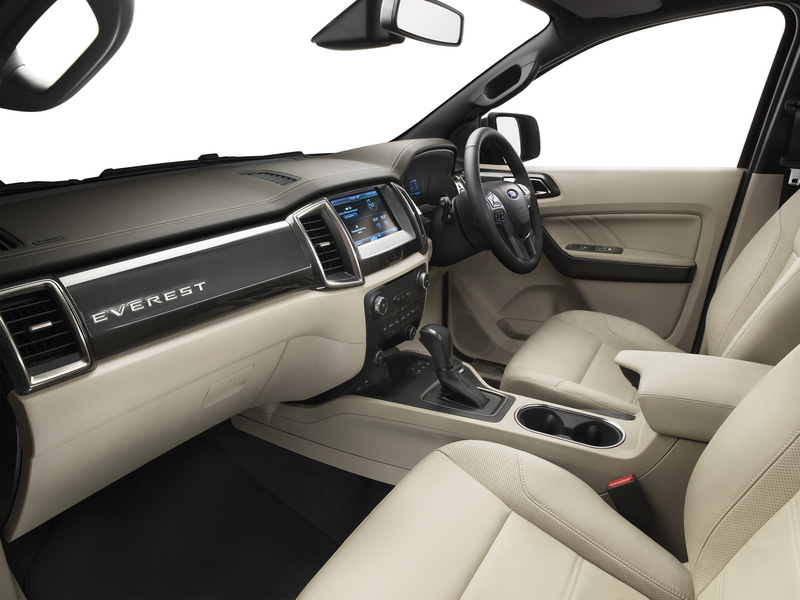 Available in both rear-wheel drive and four-wheel drive variants, the new Everest is described by its maker as one of the toughest SUVs in its segment, thanks to its body-on-frame design (it uses the same platform as the Ranger pickup), which provides the torsional strength required for challenging terrains. 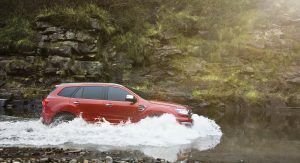 The Everest is offered with a four-wheel drive system, an active transfer case with Torque on Demand, Terrain Management System, and comes with a ground clearance of 225mm (8.85in) and water-wading capability of 800mm (31.5in). 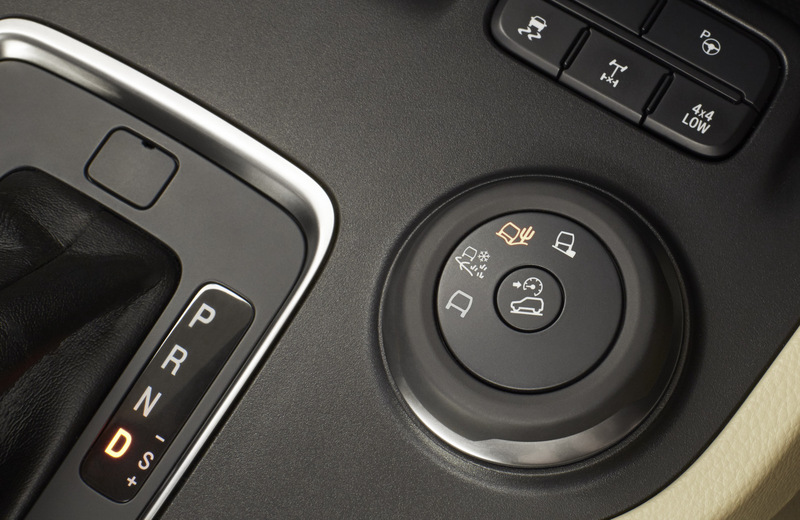 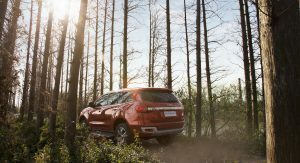 The Terrain Management System offers four preset settings (Normal, Snow/Gravel/Grass, Sand and Rock) which change the vehicle’s throttle response, transmission, intelligent four-wheel drive system and traction control for specific situations. 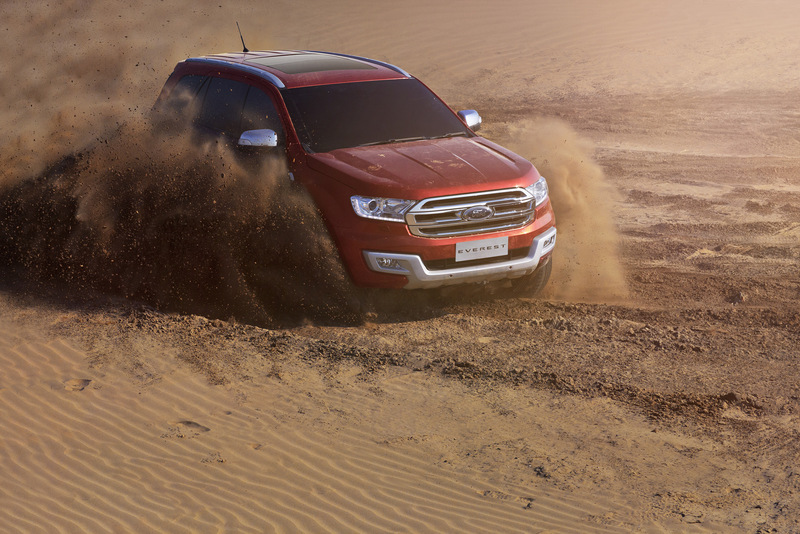 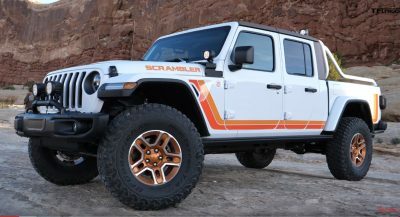 Drivers can also manually lock the transfer case in low-range four-wheel drive mode for increased control in extreme off-road conditions. 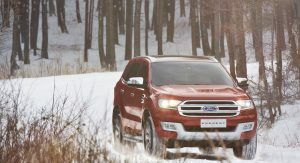 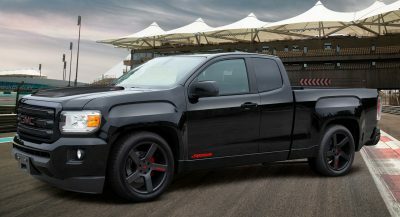 The model is offered with two diesel engines mated to six-speed automatic or manual transmissions. 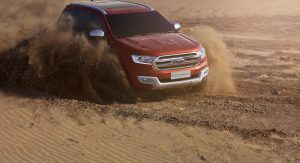 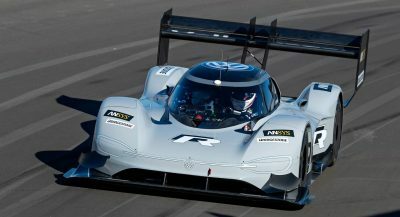 The base unit is a 2.2-liter four-cylinder TDCi producing 158hp (160PS) and 385Nm (284lb-ft) of torque, while the more powerful unit is a 3.2-liter five-cylinder TDCi with 197hp (200PS) and 470Nm (347lb-ft). 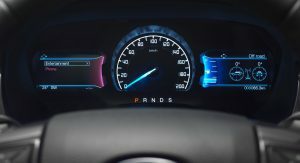 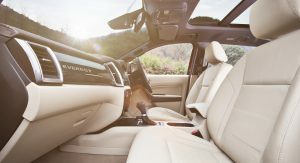 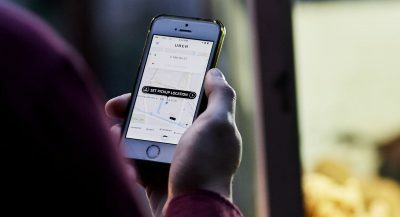 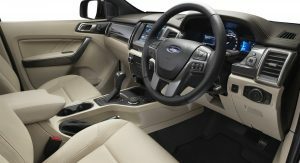 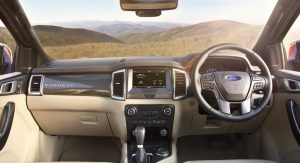 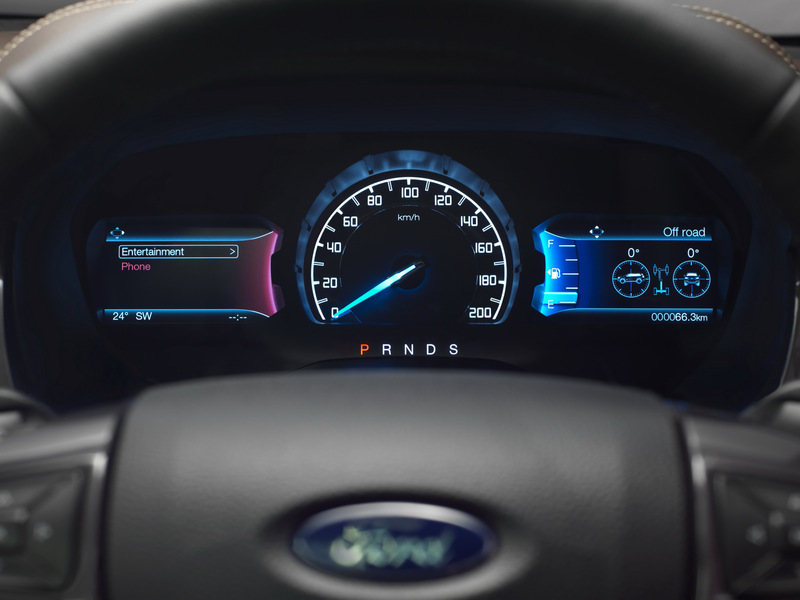 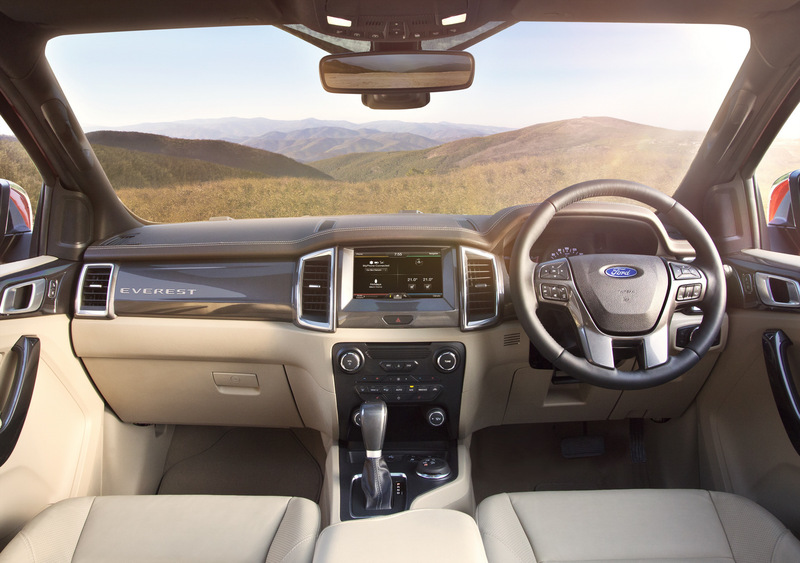 In terms of equipment, the new Everest gets the latest generation of Ford’s Sync 2 in-car connectivity solution, which includes voice commands and comes with an 8-inch touchscreen with color-coded corners for easy menu navigation. 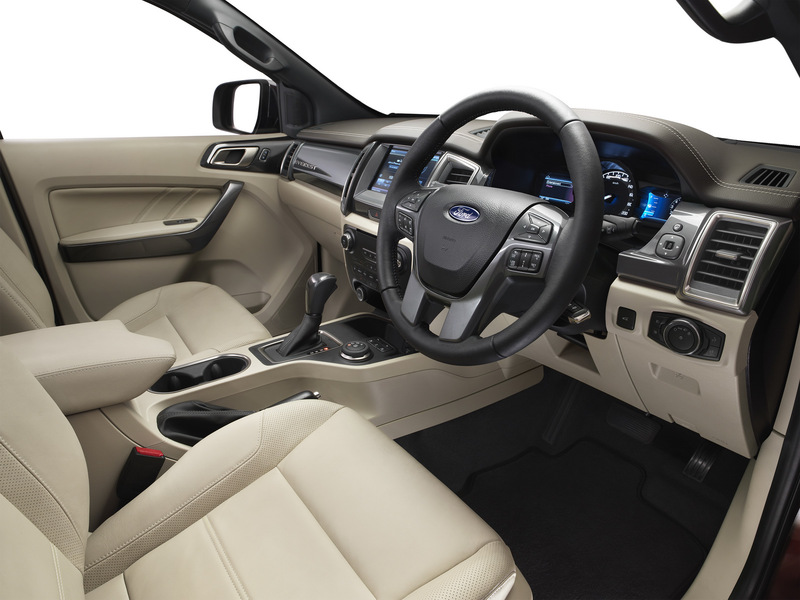 There’s also a 10-speaker sound system with an integrated subwoofer. 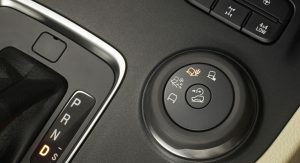 Driver assistance technologies include Curve Control, designed to help drivers maintain control when approaching turns too quickly, and Blind Spot Information System (BLIS) with Cross Traffic Alert. 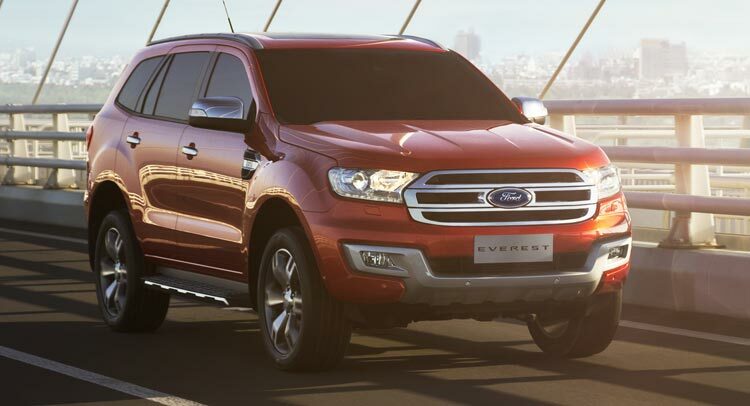 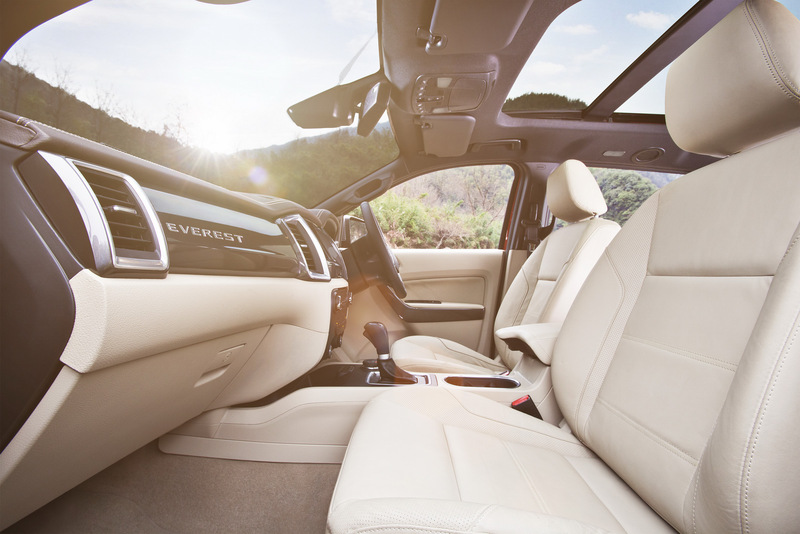 The Everest is also available with advanced features such as Roll Stability Control and Active Park Assist (hands-free parking).